Spartan Manor is one of the best wedding venues in Tampa, FL because they offer all of the services you could ever need to make your wedding dreams come to life. 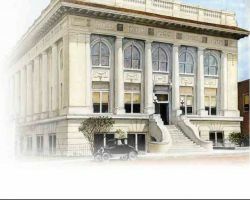 This venue has ballrooms that you can choose from for a classic wedding and reception. There is a professional wedding planner on site that can help you make the space unique and use it to the fullest. As far as Tampa wedding venues go, this is one of the most beautiful. For true sophistication there is no better venue than The Regent. Every event that they hold has a touch of class that is difficult to find elsewhere in Tampa. Their list of prices and packages are clearly labeled so you will be able to find an option that suits your number of guests and needs. They can assist with reception halls, banquet halls, party venues and even set up a wedding chapel. These choices will convince you that The Regent is the perfect place to hold your wedding. From the Grand Ballroom to the Historic Theatre, Centro Asturiano de Tampa has a range of options to create the perfect wedding setting. In fact, as a venue this location has become renowned throughout Florida for having the best facilities and the most flexibility. While this luxurious location does not come cheap their prices are amazingly affordable and will fit into many budgets. If these positives do not convince you then their range of praise-filled reviews certainly will. Call Centro Asturiano de Tampa directly to book your perfect venue. For a picture-perfect garden wedding venue, couples should turn to Karnes Stables. 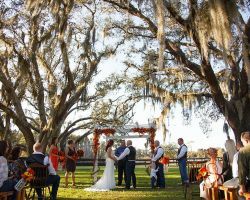 With sweeping acres only minutes from Tampa, it is a great option for those who want an outdoor wedding ceremony, reception, Quinceanera, or any other kind of celebration. For those couples that wouldn’t suit stuffy ballrooms but rather want a simpler, more rustic and more beautiful wedding venue, this location is simply unbeatable. Their spaces can hold 75 and 200 guests so you can choose between an intimate small wedding venue and a more spacious one. 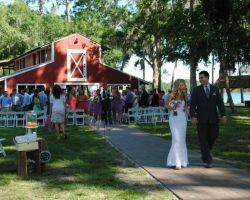 Old McMicky’s Farm is a customizable large or small wedding venue in the heart of Tampa. This location can hold 150 guests to watch you walk down the aisle and then celebrate the night away. When you reserve this venue you will have the property for one hour for the ceremony and four hours for the reception. You can opt for a beautiful lakeside ceremony and a reception in an old rustic barn. This set up will make any day intimate with flawless transitions.